An outright winner from the start, this eight-night holiday allows you to experience the very best of the beautiful Breton coast. You'll enjoy simply stunning walks, taking in dramatic scenery, a wealth of colours and a multitude of mediaeval influences. During the first few days of your holiday, you'll be walking along the magnificent paths that hug the northern coast. It's a landscape of pinky-gold cliffs, secret coves, deserted, heather-backed beaches and traditional Breton fishing villages untouched by tourism. It's perfect for exploring on foot and, at every turn, you're rewarded with fabulous panoramic views of the entire Emerald Coast. Heading inland, the route takes you along the banks of the River Rance and on through the majestic Hunaudaye forest. Highlights include the feudal Fort la Latte and the beautiful stone-crafted town of Dinan. In the Middle Ages, Dinan served as one of the main strategic strongholds of the Duchy of Brittany and much of her mediaeval charm remains today. 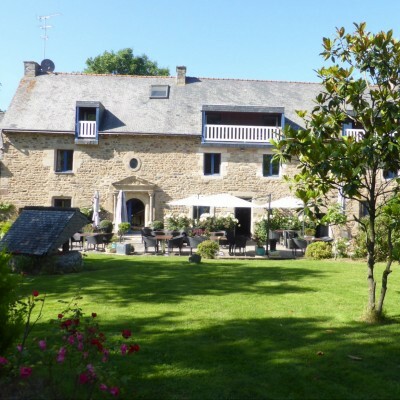 Your accommodation is full of contrasts too, including a lovely seaside hotel in Sables-d'Or-Les-Pins and a superbly located *** hotel built into the ramparts in the heart of historic Dinan. In Dinard, you'll stay in the upgraded sea-view rooms looking out across the idyllic Atlantic expanse to the old port town of St-Malo. Your holiday starts at M. Jamin's C16 manor house in the countryside, just three kilometres outside the market town of Lamballe. With only 14 rooms, it's a lovely, intimate place to stay. The courtyard opens up onto beautifully kept gardens and an elegant terrace for al fresco dining on fine summer evenings. Sables-d'Or-Les-Pins is a lovely seaside village with magnificent golden sand beaches. It would be easy to just spend the day here, however we strongly recommend following our suggested circular walk (route notes provided) along a spectacular coastal footpath around the cliff and on to nearby Cap d'Erquy, a delightful fishing village with some outstanding seafood restaurants for lunch. Starting with a transfer to the picturesque Breton village of Langrolay-sur-Rance, today's route takes you inland, mostly following the course of the River Rance. It's wonderfully tranquil walking through shady forests, fruit orchards, and along peaceful riverside paths. 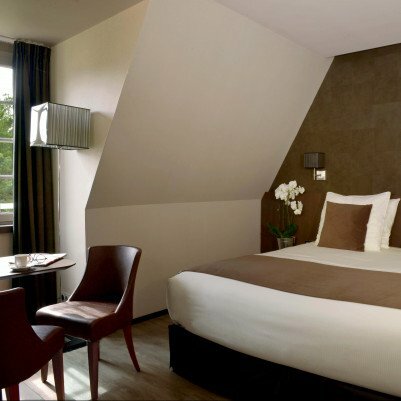 Your **** hotel in Dinan is superbly located within the ramparts of the mediaeval old town. Situated just 3km outside Lamballe in the little hamlet of La Poterie, this charming C16 manoir, run by the affable M Jamin, is the perfect place to get away from it all. All the 16 cosy rooms are individually decorated and have lots of character. In the main, they overlook the beautiful gardens, where you can relax with a good book or enjoy an aperitif before dinner. Superior rooms are more spacious with a balcony onto the garden. This lovely little hotel is located 100m from the large beach of Sables d'Or. The hotel is traditional in style and dates back to the 1920s, although it has had extensions and modernisations to the rooms since this time! Rooms are located in two buildings; the first building has a far more traditional feel to it in terms of decor, compared to the new rooms, which are modern in style. All rooms are well decorated and some rooms have balconies. Room upgrades: Premium Room, Deluxe Room or Suite. With its superb location a short 50m stroll from Dinard's main beach and situated right on the sea front looking out towards St Malo, the views from the Hotel Printania are fantastic! The hotel seems more like a museum in style: its quintessionally Breton public rooms - including a sitting room with piano which guests are welcome to play! - all feature the carved wooden furniture typical to the area, as well as paintings by local artists and Henriot Quimper porcelain. 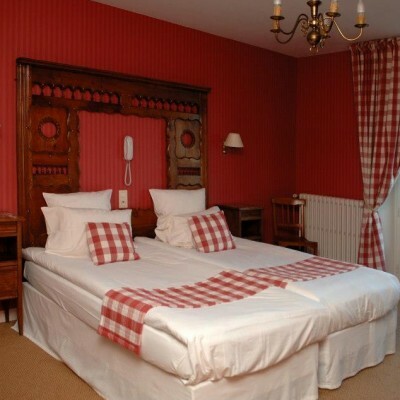 All 55 rooms are ensuite and all are individually decorated with characteristic Breton detail. Headwater customers stay in the delightful upgraded sea view rooms. Please note that the triple rooms at this hotel only have a double bed and a single bed; three-bedded rooms are not available. 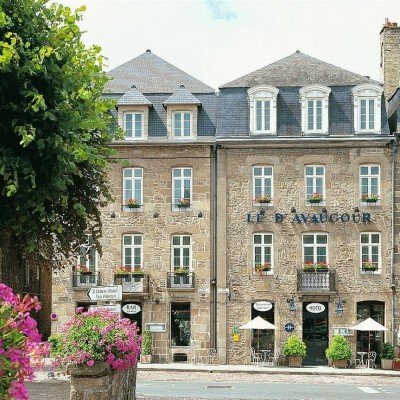 We are delighted to have found this lovely hotel right in the heart of mediaeval Dinan. All the rooms are en suite and individually decorated with stylish soft furnishings. The hotel has a small bar and a beautiful garden where you can have breakfast or enjoy a pre-dinner drink. Walk to the end of the garden and you find yourself on the ramparts of the town. Transfers included from Lamballe train station at 17:28 Sun, 17:23 Mon-Sat and back to Lamballe train station at 09:40 Mon-Fri, 10:20 Sat-Sun. A well organized tour of the Brittany coast. We liked the locations, the walks, and the hotels. Sometimes the travel notes were a bit misleading but we managed very well. Thank you for your comments, we were pleased to read that you felt the tour was well organized. I refer to your comments with regards to the travel notes and can assure you that we do review these from season to season based on our customer feedback and research that is carried out locally, so again thank you for highlighting this to us. Lovely walks and route notes excellent. Hard walking in the heat of the day as some very steep parts that the less fit might find challenging. Super locations throughout the week. We love having a walk on alternate days and doing what we want on the day in between. Steve went the extra mile to make sure we had a good time. A very well constructed package; a round trip with a variety of terrains (coast path, river valley, farmland and forest), excellent French cuisine available, and a chance to visit 3 very different and interesting French towns. Headwater customized our holiday to make it really simple for us - they even made sure that it didn't rain whilst we were walking. The accommodation was great and welcomes were friendly. We couldn't have asked for more. A well structured, walking holiday on the Brittany coastline . A much enjoyed and excellent holiday giving us the opportunity to see some spectacular scenery. we did appreciate the days restbetween each walk as the walks were fairly demanding and the miles covered were probably to our limit. Stephen is a great asset to Headwater, he is outgoing, helpful and informative.Thank you again to the online staff of Headwater for a glorious 9 days! Good food, good walking and good organization. We enjoyed it. very much. Steve was very good at adapting to our limited capacities. A relaxing holiday in an unspoilt part of France. The coastal scenery is fantastic and the uncrowded stretches of beaches a joy to behold. What really made the holiday was Steve. He was so helpful and accommodating we were made to feel quite special. A varied walk, first days along the magnificent coast and latterly along the river and into the forest. 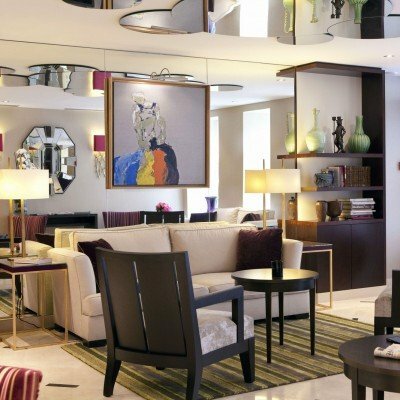 Comfortable Hotels and excellent food! Well researched, well organised, varied walks to interesting towns with an attractive mix of accommodation all supplemented by an excellent local rep.
A very enjoyable experience in one of the lesser known (for Americans, at least) areas of France. The walking trip in Brittany was excellent. Our rep was brilliant, going out of his way to ensure we had everything we needed and more. The route notes were thorough and the walking itself was on lovely trails. Thoroughly enjoyed the whole experience; a lovely lazy way of booking a really good holiday - everything is provided for and has been thought of. Excellent. This was an excellent varied walk and well constructed taking in coastal paths, forest and river scenes and the beaches were superb. This was a superb holiday made especially enjoyable by the exceptional help and untiring humour of your rep, Steve Barrington, who went way beyond the call of duty to look after everyone. Fantastic coastal walks. Distances are reasonable but remember as it is coastal you drop from cliff tops to sea and back up again. Fantastic beaches, well worth a return visit on the 'day off' from walking. Excellent and very helpful local rep, Steve. The walks were quite long and the day walk from Dinard and Dinan had no places to stop en route for coffee or even to picnic apart from stopping beside the path/road. The Emerald coast walks are some of the best I have done. Your local rep. Steve Cunningham is excellent. Hotel at Lamballe has very good food and service, but the two rooms I had were fairly basic. The hotel Diane has good decor and service, but the food was a little disappointing. I did not much care for the Hotel Printannia, either the decor or the food. I had one good dinner and one rather mediocre one. The hotel D`Avaugour was excellent. In spite of my views about the hotels, I thoroughly enjoyed the holiday because of the lovely walks and gorgeous scenery. Thank you for taking the time to complete your post-holiday feedback. It sounds like you really enjoyed your time in Brittany. We would also like to thank you for your complementary feedback for our rep Steve. I am sure he will be delighted to hear you rated his service so highly. We have discussed your constructive feedback regarding the hotels you stayed in and are pleased to advise the Hotel in Lamballe are planning to renovate areas of the hotel. We were surprised to hear you found the food disappointing at Hotel Diane; ordinarily the feedback for this hotel is good. Please be assured we have passed on your comments to the Hotelier and will work with them to ensure they deliver the high standards our customers expect, we will continue to monitor the feedback we receive and expect to see positive feedback for this hotel in the future. We have also changed the standard rooms at the Hotel Printania, all customers will now receive sea view rooms as standard and we have reduced the board basis to B&B as there is so much choice for customers to sample in Dinard. We hope you will agree these improvements will continue to help enhance this holiday for future customers. In closing, we would like to thank you for your feedback and look forward to welcoming you on another of our holidays in the future. Overall it was a very enjoyable holiday made the more so by our excellent rep. It is an excellent way of seeing in detail a small part of, in our case, France. This was our 10th French walk with Headwater. We had been putting off trying the Britanny coastal walk due to concerns about the possibility of bad weather but our fears were unfounded. In the event the weather was perfect for walking, the scenery was spectacular, there were lots of interesting places to see and visit, and we particularly loved our balcony overlooking the estuary at Dinard. Your local rep Steve could not have been more helpful. This was one of our favourite French walks and we would highly recommend it. We had a fabulous time, thoroughly enjoyed the walks, though did find the route notes needed updating and clarifying in places - they're probably OK for very experienced walkers/mapreaders, but we're still relatively new to all this, and need things spelt out clearly, specifically and unambiguously! Steve the rep was brilliant, very informative and helpful. Food very good, hotels mostly fine, though our room in the Printania was a bit snug (but we did love their waitresses in full Breton outfits, set off perfectly by a lovely modern nose-stud!). Another excellent Headwater holiday - thanks! Overall a very enjoyable holiday. Particularly enjoyed the coastal walking. For us more time on the coast and miss out the trudge through the forest on the last day. Every two days from 17th May 2019 to 12th Oct 2019, for 8 nights. All dates are subject to availability, please contact us to check. Due to the tailor-made nature of our holidays, we need a little more information in order for us to check availability for Brittany's Emerald Coast Walk. Simply complete the form below and a member of our sales team will contact you (when it's most convenient for you) to provide availability information, travel options and an accurate price. Of course there's no obligation, but if you do wish to proceed with a booking they will be on-hand to assist you throughout the process.